Every company needs a brochure. Whether people come to your store, or you have outside sales people or manufacturer reps, or if you go to trade shows; a brochure will continue to speak for you long after you meet a prospect. During personal interactions such as a meeting or talking to someone on a trade show floor, there is too much going on for most people to make a buying decision. Some people really like the physical marketing pieces and it’s in your best interest to talk to those potential customers in the way they prefer. Leaving people with a professionally created brochure gives everything you said about the company/products credibility. Here are some tips to make that brochure effective. First and foremost, it needs to be visually compelling. Design matters. The color scheme should mirror your logo, website, business cards, and all other marketing assets. The front cover is not the place to plaster the CEO’s face unless he or she is a bona fide guru. The cover should compel the reader to open the brochure. And, you only have about three seconds to make that happen. In the world of sales and marketing, success doesn’t happen through blind luck. You get what you pitch for and you’re always pitching (a mantra I learned from Topher Morrison). In the world of technological products, some companies think that just features and benefits are going to set them apart from the plethora of competition. It’s not. 1) Be succinctly clear on what your product or service is. Forego using extra superlatives and just write down what it is. If it’s a projector screen, say it’s a projector screen. It doesn’t behoove a screen company to say they are a visual enhancement company. Be clear. Clearly communicate what industry you’re in. Clearly identify who your target market is. 2) State your authority. Have your products tested off the charts? Have they won any awards? Is it version 2.0 of a great product? You need to establish your authority. 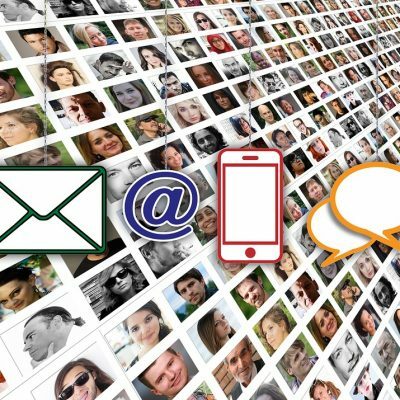 Perhaps it’s through how many customers you have or how long you’ve been in business or, if you’re a younger company, through communicating why you are the expert at what you do. 3) What problem does your company and product solve? Your customers purchase your products because it solves a problem for them. If an HDMI cable manufacturer has the only product available to meet the new HDMI 2.1 spec, say that. Include that it performs refresh rates including 8K60 and 4K120, Dynamic HDR and increased bandwidth to 48G. Then, depending upon the size of your brochure, go into more appropriate details that discuss how that problem affects your targeted audience. Identify the problem your product solves and illustrate the problem in practical ways that your customers can identify with. 4) Now we come to the pay off, the solution. How does your product help? As I mentioned earlier, don’t spew technical jargon. Give an overhead view of how it works and the benefits your product delivers to your customers. I know this sounds like a lot but in reality, all of this can succinctly be wrapped into a few paragraphs. Remember, you get what you pitch for, and you’re always pitching. 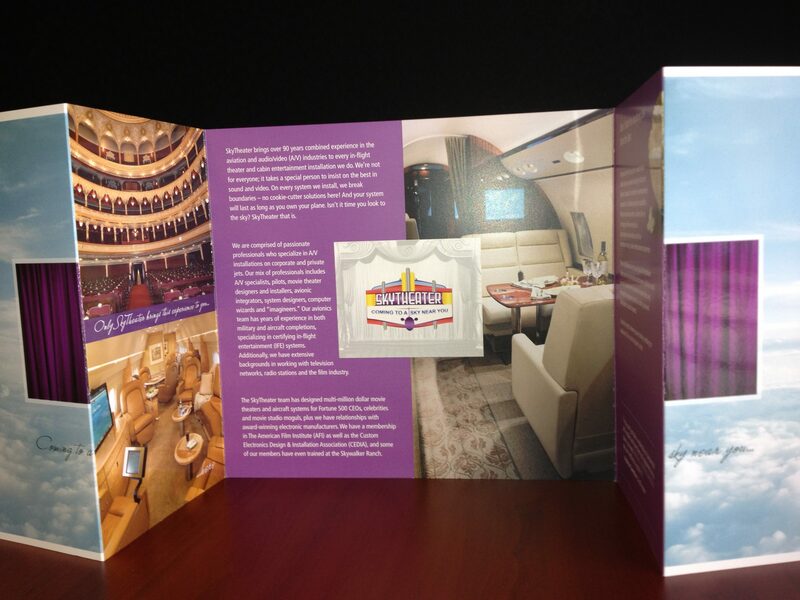 A brochure could also convey your process of doing business. An interested party may very well be more inclined to call your company or send an email if they know what to expect. If it’s a small company, perhaps a blurb about the CEO. If it’s a large company and the brochure is about a particular product, perhaps a blurb about the company. It’s all about the ethos, who are you and why do you do what you do? What’s your why? Show your passion. This is another storytelling opportunity. Ideally, you’d like to attract clients just like your favorite client right? To that end, include testimonials from your target clients. Share what it is they do and how your product has helped them. It will speak to like-minded customers that readily identify themselves with your dream clients. Offer levels. If you have three different versions of the same product, offer the coach, business class, and first class. If you’re a speaker manufacturer perhaps you offer Silver, Gold, and Platinum. Clearly articulate what the difference of each is. I’ve seen “professionally done” brochures that have listed three versions of the same product and they each have a different price, but never told me why. Avoid a tri-fold at all costs. As you can tell, I’m strongly opinionated on this. Research has shown that the human brain does not find the vertical shape appealing. Opt for a square or rectangular shape for best results. Have you ever received an invitation to a festive occasion such as a wedding or baby shower? The cards are rectangular or square, aren’t they? I like brochures to be the same shape because the mind correlates it to being festive, not foreign, like a tri-fold. As I close on brochures, one last thing . . . just get it done. Always remember that having something is better than having nothing. Done beats unfinished-because-it’s-not-perfect every time. Create a brochure. Have fun with it. Brochures are still a key piece into having effective sales, get yours done and be sure to put a digital version on your website.